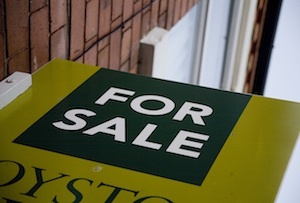 The total number of first-time buyers has jumped by 50% in the last two years. Last year was an energetic time for Britain's housing market as prices shot up, investors piled in and debates raged about the affordability of housing. Although growth slowed a little towards the end of the year it looks like we're still heading back towards the kind of market not seen since before the financial crisis. Figures released by Halifax today show that first-time buyers in 2014 hit the highest level since 2007, the year before the economy came off the boil. There were an estimated 326,500 of them in 2014, a 22% increase on the previous year and 70% more than 2008. The housing market looked like it was threatening to overheat last year as prices rocketed, but the Bank of England introduced new mortgage lending rules in June in an effort to prevent the bubble from getting out of hand. Despite this, the average deposit in relation to value of the property fell from 20% in 2013 to 17% in 2014 – although this is still way above the 10% average recorded in 2007. ‘First-time buyers are vital for a properly functioning housing market,’ said Craig McKinlay, mortgages director at Halifax. ‘Improving economic conditions and rising employment levels have boosted confidence among those thinking about getting on to the housing ladder for the first time, contributing to the significant increase in the number of first-time buyers in the past two years. There are also signs first-timers are willing to stump up more for a home as the average price they paid last year hit £171,870 - 9% higher than in 2013 and just 2% lower than 2007. In London that figure was £323,333 and those Londoners looking to get a foot on the ladder will be dismayed to see the average deposit for a first-time buyer in the city was an eye-watering £79,000. Better get saving.